Made from Lavender, Chamomile, & Ylang Ylang- Chill out. 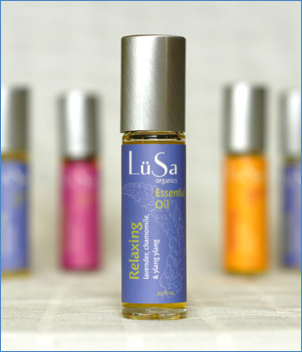 Apply to pulse points (wrists, throat, behind ears) for relaxing aromatherapy. Carry one in your car to improve rush hour, and keep one on your bed stand for sweetest dreams. To Use: Chill out. Apply to pulse points (wrists, throat, behind ears) for relaxing aromatherapy. Carry one in your car to improve rush hour, and keep one on your bed stand for sweetest dreams. Ingredients: *Jojoba oil; essential oils of lavender, tangerine, chamomile, and ylang ylang.